Kinseth Hospitality Companies features a diverse portfolio of hotel’s and restaurants located in numerous cities across the United States. The companies motto is to provide World Class Service to Every Guest, Every Time. Achieving this commitment of excellence requires training their associates the passion, drive, and commitment they need to serve each guest with a smile. In a highly competitive market, treating every guest as the number one priority, being responsive, as well as present to their individual needs are all keys to generating a repeat customer. Kinseth Hospitality Companies started as a vision from Kenneth Kinseth who was a successful business man that developed several hotels, apartment housing and golf courses. In the mid to late 50's Kenneth and his wife Cyrena bought a small hotel property known as the Deluxe Motel located in Decorah, Iowa. In 1963 they added a restaurant and the hotel name changed to Cliff House. Cyrena planned weddings and special events for customers, and was well known as the consummate hostess with a special knack for making all guests feel welcome. The parents along with their four children Les, Linda, Bruce, and Gary set out on an new adventure upgrading, managing and turning the property into a thriving 108-room hotel and restaurant. Fourteen years later in 1977 the semi-retired Kenneth and Cyrena sold the Cliff House and helped their children become established in the hotel business. The family bought a Ramada Inn in Council Bluffs that they renovated into a Best Western. In 1981 they bought another Best Western located in Clear Lake, Iowa. Over the years the entire family had gained considerable hospitality experience, in addition they loved their jobs, and the industry. So much so, the four children set out to expand the portfolio to what it is today. Thirty-nine years later the portfolio looks a bit different. 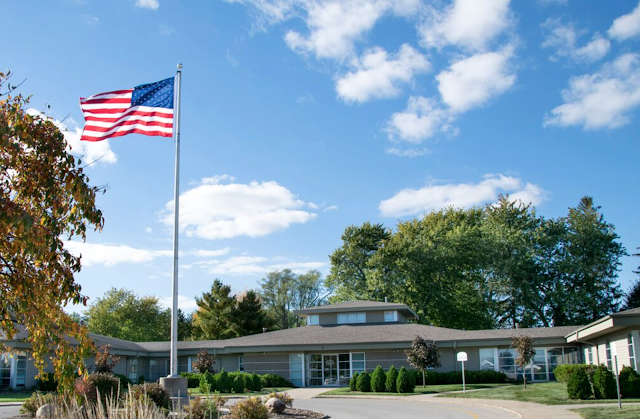 The company’s corporate headquarters is based in North Liberty Iowa, and has grown immensely from 2 hotels to over 65 different hotels and 5 branded restaurants in 12 different states. The leadership team still consists of all four children. Additional management and staff was hired with the increased work flow. These individuals bring additional talent to the management team. The company expanded it services to offer hotel management, hotel development and hotel receivership. Bruce Kinseth executive vice president graduated from the University of Iowa where he majored in Business, and was inducted into the Iowa Wrestling Hall of Fame. Kinseth Hospitality Companies is always accepting inquiries for new hotel development and management opportunities. If you have a hotel development or management need please visit our website at www.kinseth.com.